Throughout this Expedition, students will determine the characteristics of poetry and consider what inspires writers and poets to write. At the end of the Expedition, students present heir three-part performance task, a Poet’s Performance, in which students read aloud a poem by their selected poet, share an essay about the poet, and read their original inspired poem. Students explore animal defense mechanisms. They build proficiency in writing an informative piece, examining the defense mechanisms of one specific animal. They read closely from the Expedition's anchor texts to practice making notices and wonders in a research notebook. To practice the knowledge they have gained from their research, students then write a choose-your-own-adventure story in which the reader sees life through the perspective of an animal trying to survive. How does one’s perspective influence his or her opinion? Students consider the answer to this question through the lens of the American Revolution. 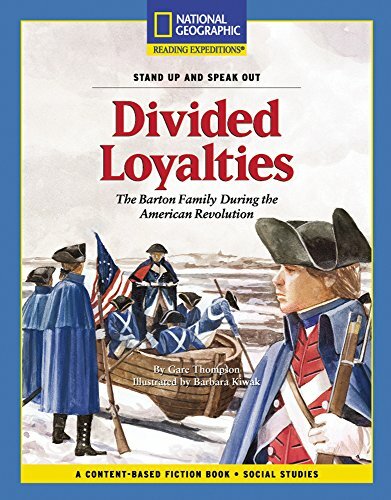 Students build background knowledge about the Revolutionary War and the different perspectives of colonists by reading about different groups within the Loyalists and Patriots. Students read the historical fiction play Divided Loyalties to deepen their understanding of the Patriot and Loyalist perspectives. Drawing on their knowledge, students read the text closely, focusing on character thoughts, feelings, and actions in response to the different perspectives on the American Revolution. Students then write a piece on reasons colonists should join the Patriot cause, in the form of a broadside. Students discuss whether or not they would have joined the Revolution. Students learn about gender and racial inequality issues in the United States in the first half of the 20th century and the process of ratifying the 19th Amendment. Students connect their learning about the process of ratifying the 19th Amendment to their own lives as they focus on how students can make a difference and contribute to a better world. Students write PSAs encouraging other students to make a difference, and they write a press release sharing with the local media what the class did to take action and the impact of their work.